The Bible says to rejoice with those who rejoice. A good friend of mine, Brian C. Jacobs, is getting to enjoy a dream of his. 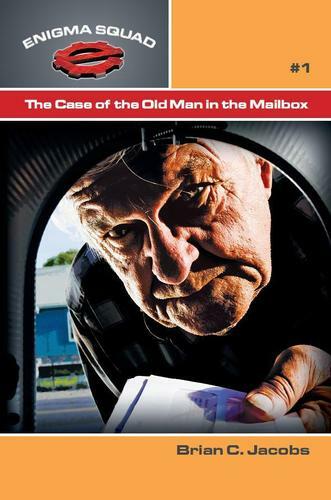 He recently published his first book: The Enigma Squad: The Case of the Old Man in the Mailbox. Brian dreams for this to be the first in an adventure series called The Enigma Squad. Reading is important for children. It builds thought, imagination and learning. The Enigma Squad I hope builds and grows an audience. I’ve worked with Brian on a few creative projects. Brian excels at creativity and story telling. To my friend, Brian: Congratulations & Dream big! As my boys grow older, I hope to one day by a box set of Enigma Squad books for my boys. If you appreciate reading and know kids who enjoy adventure, check out the links below. What a better way to enjoy Christmas than to sit by the fire and read to your children. ← Do we beleive this? Thanks Ty. I am truly honored and humbled. God has truly blessed more than I could ever ask or think.